What Makes Bangkok Such a Great City to Teach English? 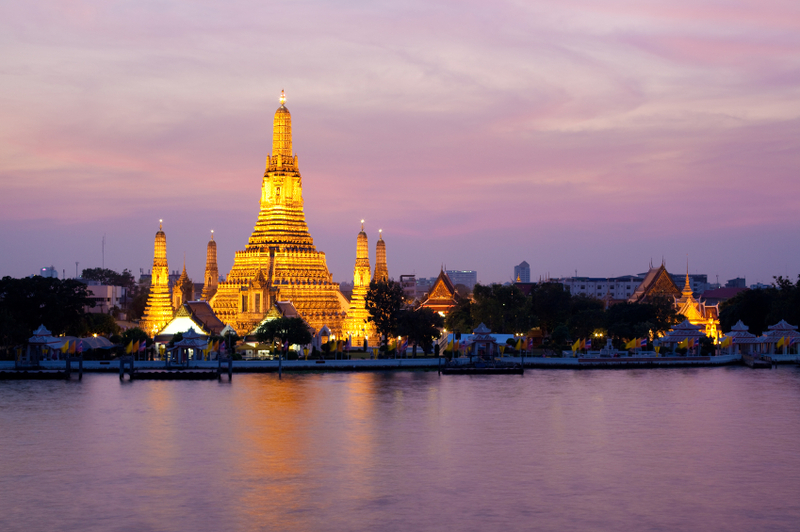 Bangkok is known for its jaw-dropping palaces and Buddhist temples. 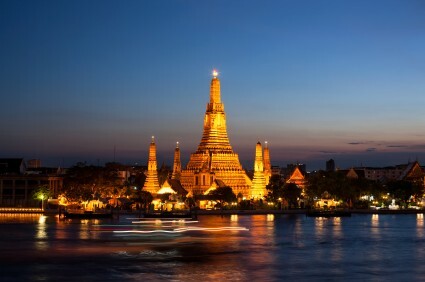 The most popular ones are Wat-Arun, Wat Trimitr, The Grand Palace, Wat Phra Kaew, and the The Emerald Buddha. Wat Trimitr is the world’s biggest golden Buddha image and the Wat-Arun temple is most beautiful at sunset, when its emblematic structure rises over the red sky. The old port of Thailand has become a mighty corporate centre, but you can experience the traditional way of buying groceries from small boats at The Damnoen Saduak Floating Market, 110 km west of Bangkok. Learn more about TESOL / TEFL jobs in Bangkok on OnTESOL’s Thailand Job Board! https://tefl-jobs.ontesol.com/wp-content/uploads/2015/03/ontesol-logo1-300x137.jpg 0 0 Ontesol- Online TESOL Courses https://tefl-jobs.ontesol.com/wp-content/uploads/2015/03/ontesol-logo1-300x137.jpg Ontesol- Online TESOL Courses2018-10-17 15:06:282018-10-18 04:41:56What Makes Bangkok Such a Great City to Teach English? 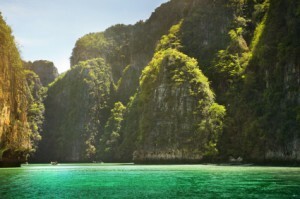 Thailand is a tropical paradise with beautiful beaches, clear waters, magical rainforests, and exotic animals. Many TESOL teachers go to Southern Thailand for a great weekend adventure. When booking an eco-tour, make sure that instructors and travel agencies abide by the rules that care for the animals and their environment. Here are some questions to consider: What are standard international practices? Are there any local regulations? Is the agency certified? How much space do animals need from the boat? How harmful are motor engines? Where are the restricted areas? This beautiful 700 year old city in Northern Thailand is known for its amazing golden temples, affordable luxuries, unique festivals, and cheerful culture. 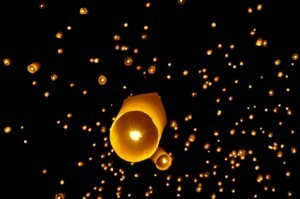 Chiang Mai offers plenty of colourful festivals throughout the year and you must witness as many as you can. The most popular ones are Loi Krathong (Full Moon festival usually held in November), Songkran (Thai New Year held in April), and the Flower Festival (Held in February when tropical flowers are in full bloom). Chiang Mai is also famous for its relaxing spas, unique bars, and amazing street performances. The local bazaar is one of the largest in the country and offers cool souvenirs at affordable prices. Start your journey with an accredited TESOL course . The minimum requirement for TESOL certification in Thailand is 100 hours. Thailand’s gem. Sunny, beautiful, and happy. Phuket, located in the Krabi province, is the perfect representation of Thailand. Phuket provides TESOL teachers with everything they desire, from beautiful temples to spectacular beaches, from extreme sports to yoga retreats, from an energetic nightlife to an organic lifestyle. Phuket is perfect for new teachers and especially young university graduates who want to TESOL during their gap-year. A BA and a TESOL certificate of at least 100 hours are necessary to obtain a good teaching position. Teaching experience is not required. Thailand is the ultimate destination for anyone who wants to live to the fullest. It is safe, cheap, beautiful and fun! Entry-level teachers enjoy a decent wage and those who completed a TESOL course can earn up to 30% more doing the same job. Just stay out from internship programs that charge a fortune while paying half the minimum wage and you’ll have the time of your life! Come to this land of amazing beaches, water sports, breath taking scenery, and exotic food.